The art of SEO is to gain love from the search engines for your website. The aim is to gain maximum visibility and traffic from the search engines unpaid results – known as organic search results. 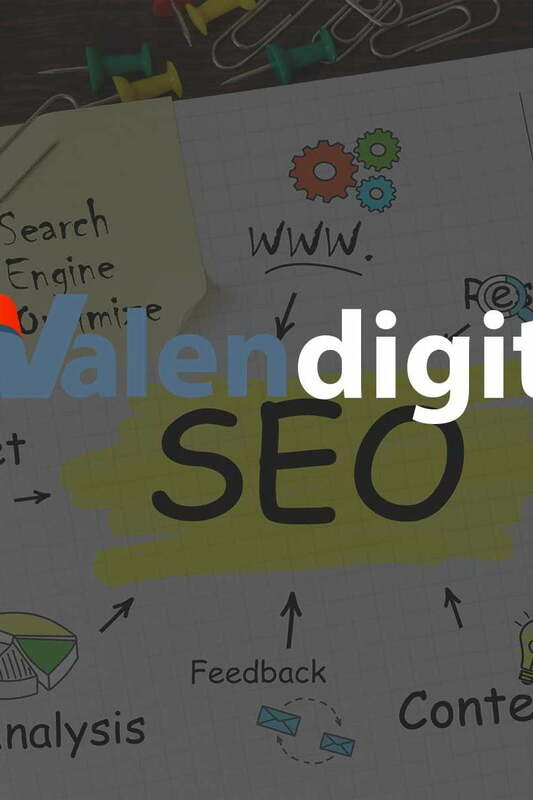 SEO is a combination of technical SEO know-how, analytical skills, natural link building and creativity which ultimately connects you with the right audience. Let’s face it, when were looking for a product or service – we all head straight to Google these days. Over 80% of all internet traffic starts from a search. Effective SEO process that Delivers Results Increase visibility, Draw in New Visitors, Optimise Conversions. Search engine optimisation is an ever evolving landscape. The search engines are constantly updating and revising the way that their search engine finds and indexes websites. Many of the old SEO techniques are now completely obsolete. Its now much more about a technically perfect website and the quality content that it produces. This can dictate how much of the search engine traffic a website receives. Our refined SEO process uses your Google Analytics account data as well as data from our own tools to increase visibility to your website. Your website needs the SEO services and expertise of digitally savvy experts using up to date techniques that will allow it to thrive in the long term. We start by identifying the objectives of your business and thoroughly research your competitors. This allows us to build a clear picture of the message and relevance your website needs to portray. We will identify current technical issues, from the basic to the more advanced like schema and site speed. We put together a technical strategy to address any issues and/or apply cutting edge methods to ensure you have the best possible standpoint from an on-page technical perspective. Our content strategy reinforces the relevancy that we put forward in the previous steps. We combine this with new content that over time naturally attracts traffic and links from campaigns that are engaging and relevant to not only the search engines but your target audience. Connect you with new audiences. We create key content pieces that reinforce our SEO activity but yet still in line with your overall marketing plan. Publishing content for the sake of publishing content is a no-no. We will help produce content of value that naturally creates relationships and authority in your industry. Evaluate and report on website traffic. Once the traffic starts to pour in and visibility increases we identify what’s working and what isn’t. We put our expertise into identifying the reason for the success, enhance and duplicate the process, to ensure you get the best value from your budget. Our technical SEO audits provide an independent, expert view of issues that may be affecting your site. This enables your website to stay in great condition and ensure that your website content can be crawled by the search engines. Google has over 200+ factors which it uses to crawl, index and display your website. some of these include site speed (TTFB), site usability and even the content language used. Your website may have site speed, schema implementation or meta content issues. Hell it may even be using totally irrelevant keyword and market research that’s not related to your nice or industry. Our experts will dig deep and comb your website to identify any behind the scene issues with an extensive on-site technical SEO audit. Once all the hard work and analysis has been completed we will provide you with a detailed report for you to work on and get your team to start checking things off! The technical SEO report will be nicely laid out yet prioritised so that you know which critical items need to be addressed first. We understand that you have a business to run and may not even have a team to implement the changes outlined. If that’s the case or you are pressed for time we can also implement the changes for you! We use White Hat Link building strategies, which is still a vital activity required for websites to gain traffic. Search engines tend to rank a website by the number of quality links that point to any given page. Each time a quality site links to your website the search engines see this as ‘vote’ for your page. The more relevant and quality ‘votes’ you can get for your website the higher your website will rank in the search engines. Therefore links are still seen as one the main measurements of a website authority as its one of the fundamental parts of a search engines algorithm especially in Google’s search engine. Website authority is a major factor in how well your website will rank and its visibility in search engines. Attracting bad links and your website wont rank and probably even tank in the search results. However attracting and building quality links will be seen in the eyes of Google that your site deserves to be seen. Our process involves attracting and building links from high quality websites which are keyword friendly, relevant and on topic. This reduces the risk element that exist in link building but gives you incredible SEO results. We concentrate on a number of link building strategies like content marketing using blogger outreach, link bait, link reclamation, link round-ups, social media promotion and many more link building strategies to get your website noticed, ultimately driving relevant traffic to your website. Localise your SEO and get your business in front of potential local customers. Regardless of the size of your business, be it a shop, restaurant or local window fitter, if your not targeting local customers then your not competing in your local market. Ultimately your missing out on business which is right on your doorstep! Simply having a Google places or G+ listing doesn’t mean that your competing effectively in your local market. Local SEO is a highly specialised area. You need to compete with your local competitors ensuring that Google favours you over them. Our local SEO campaigns compliment your local listing by providing relevant citations that highlight your NAP (name , address , phone number) providing more consistency, authority and relevancy to your local listing which leaves you sitting pretty at the top of search results for your local area. If you want to succeed online and make your business a success, then get in touch today. We look forward to sharing our expertise and knowledge with you. Struck by a Google Spam Penalty? Google may penalise your site via an algorithmic penalty (Penguin or Panda) or a manual penalty when someone has manually reviewed your website. Up to 15% of online websites are currently affected by Google penalties. It can be crippling for an online business that one day has a huge amount of visibility and traffic too in the worst case scenario virtually none! If its Penguin (Links) or Panda (Content) causing your website issues we have the expertise and knowledge to identify the issues and provide effective solutions to remedy them. We can fix any issues that may be present so that your website adheres to the strict guidelines imposed by Google, from identifying the issues to the reconsideration request that may need to be filed. We will help remove the penalties and provide your website with the ability to grow back to its former glory.